In addition to your private files and folders, Windows takes up a lot of space on your computer. 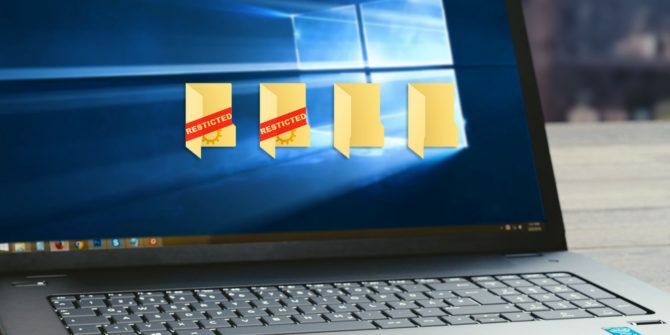 With a bit of searching, you can find hidden Windows caches that are safe to clear 7 Hidden Windows Caches & How to Clear Them 7 Hidden Windows Caches & How to Clear Them Cached files can take up a lot of bytes. While dedicated tools can help you free up disk space, they might not clear it all. We show you how to manually release storage space. Read More and use other folder tricks 8 Nifty Windows Folder Tricks You Have to Know 8 Nifty Windows Folder Tricks You Have to Know Look after your folders and they'll look after you — use these tips to get a head start! Read More . However, there are several Windows default files and folders that you should leave alone. Messing with these could result in an unstable system, loss of data, or other horrible consequences. Let’s discuss the places that most users shouldn’t visit in their travels through the Windows file system. Whenever you install software, you usually open up an EXE file and run through an installation process (if not, you’re using a portable app). During this time, the app is creating an entry for itself in the Program Files folder, adding Registry values, and doing other tasks that it needs to work properly on your system. Thus, if you head into the Program Files folder, you’ll find folders for most programs you have installed. With rare exceptions, you should never need to touch a program’s data in these folders. They contain DLL files and other configuration information that the program needs to function. If you start messing with these, you could screw up an app and have to reinstall it. 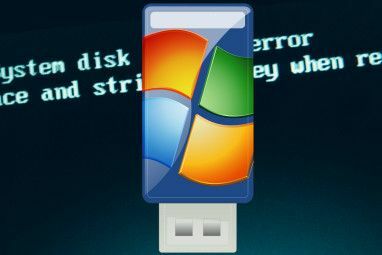 Further, when you want to uninstall some software, the proper way to do it is via the Programs and Features menu in the Control Panel or using a third-party alternative 3 Best Third-Party Uninstallers & Why You Need Them 3 Best Third-Party Uninstallers & Why You Need Them To uninstall a Windows program, you can’t just hit 'Delete’ -- you need to run the software’s uninstaller. Unfortunately, the 'Uninstall a program’ option in the Windows Control Panel does not always completely remove it... Read More . Deleting an app’s folder from Program Files doesn’t remove other references to it on your system and thus is not a clean uninstall. This contrasts from how macOS handles uninstalling — all you have to do on a Mac is drag an app to the Trash to remove it How To Uninstall Just About Anything From Your Mac How To Uninstall Just About Anything From Your Mac No registry, no uninstaller – how do you completely remove a program from Mac OS X? Read More . If you’re using a 32-bit version of Windows, you can only install 32-bit software and thus you only have one Program Files folder. On 64-bit Windows versions, you’ll see an additional Program Files (x86) folder. Your computer stores 32-bit software there, while 64-bit compatible software goes in the standard Program Files folder. Nearly everything in the C:\Windows folder could fall under this list, but the System32 folder deserves special attention. It holds hundreds of DLL files that are essential to your computer running properly. Some examples include the service that handles sound on your PC, files that are essential to booting into Windows, resources that make fonts display correctly, and more. Also contained in this folder are executables for default Windows programs. For instance, Calc.exe 9 Neglected Windows Calculator Features to Save Your Day (and Money) 9 Neglected Windows Calculator Features to Save Your Day (and Money) The classic Windows Calculator contains many overlooked features. We bring them to light and show you how you can use this app to do math faster, process unusual calculations, and save money. Read More launches the Calculator, and MSPaint.exe launches Microsoft Paint. You don’t really have a reason to ever visit System32, but it’s been the topic of a long-running internet joke. Some people like to mess with novice users and tell them that System32 is a virus, or that deleting it will make their computers run faster. Obviously, since the folder is critical to Windows functioning, messing with it could mean having to reinstall Windows 4 Ways to Reset Windows 10 and Reinstall From Scratch 4 Ways to Reset Windows 10 and Reinstall From Scratch Windows 10 is still Windows, meaning it will need a fresh start every once in a while. We show you how you can get a fresh Windows 10 installation with as little effort as possible. Read More . Random-access memory, or RAM, inside your computer is responsible for temporarily holding open programs. When you open an instance of Word, it’s placed in RAM for quick access. This is why having more RAM allows you to run several programs concurrently (check out our guide on RAM for more background). If your physical RAM starts to fill up, Windows uses what’s called a page file or swap file. This is a dedicated portion of your hard drive that acts like RAM. If you have enough RAM in your computer How Much RAM Do You Really Need? How Much RAM Do You Really Need? RAM is like short term memory. The more you multitask, the more you need. Find out how much your computer has, how to get the most out of it, or how to get more. Read More , you should rarely ever see the page file take effect. However, relying on it often will affect performance, as hard drives are much slower than RAM (especially if you don’t have a solid-state drive). Whenever you use a tool to show what’s taking up space on your computer, chances are the page file takes up several gigabytes. You might be tempted to disable it to save space, but that’s not a good idea. Without a page file, when your RAM maxes out, programs might start crashing instead of swapping into that extra memory. Windows lets you manage that virtual memory Is Your Virtual Memory Too Low? Here's How to Fix It! Is Your Virtual Memory Too Low? Here's How to Fix It! The curse of Windows is its slowing down over time. Often, low memory is to blame. Here is one more way to virtually unburden your RAM. Read More if you really must, but most users should let the operating system manage this automatically. If you’ve got memory problems, the solution is to add more RAM to your system How To Upgrade A Laptop's RAM, Step By Step How To Upgrade A Laptop's RAM, Step By Step Is your laptop old, slow, and has the hardware never been upgraded? Working on a slow computer can be a real drag. Before you buy a completely new one, however, you should consider ways to... Read More . Another large folder that doesn’t have an obvious purpose, the System Volume Information folder actually contains several important Windows functions. In fact, when you try to access it, Windows will give you an Access Denied error. This folder contains the System Restore points which your computer creates so you can jump back in time. To decrease this folder’s size, you can type Restore Point into the Start Menu and click Create a Restore Point. In this window, click your C: drive and choose Configure. You can slide the Max Usage bar to a certain amount to reduce the space that System Restore uses, but beware that this decreases your options if you need to do a restoration in the future. Today I learned :When you connect a windows HDD to a Linux machine, don't erase the folder that says System Volume Information! Aside from restore points, System Volume Information also includes data that Windows uses to index your drives. Without this, searches that take an instant What Are the Fastest Tools for Windows Desktop Search? What Are the Fastest Tools for Windows Desktop Search? Search is one of the digital tools we take for granted and heavily rely on. Fortunately, Windows comes with a handy search feature. Could third-party tools be better and faster? We made the test. Read More would slow to a crawl. It also holds the Volume Shadow Copy service that’s required for file backups. Like other important folders, you should stay away from this one. Don’t try to gain access to it or make changes — Windows needs its contents for healthy performance and there’s no reason for you to edit it. WinSxS stands for Windows Side By Side and was created in response to an issue that made working with Windows 9x versions a pain. The colloquial term “DLL Hell” describes the problems that arise when dynamic link library (DLL) files conflict, duplicate, or break. To fix this, Microsoft started using the WinSxS folder to collect multiple versions of every DLL and load them on demand when Windows runs a program. This increases compatibility, such as when a program needs access to an older DLL that’s no longer part of Windows. The longer you use Windows, the bigger this folder becomes. As you might guess, trying to pick and choose files to delete 5 Ways Overzealous Cleaning Can Break Windows 5 Ways Overzealous Cleaning Can Break Windows It's easy to go overboard with cleaning your PC. When you're cleaning your PC, be sure you know what you're getting into -- it's easy to break something. Read More out of this is a bad idea. You shouldn’t ever visit this folder directly; instead, use the Disk Cleanup tool Low Disk Space? 5 Native Windows Tools To Free Up Storage Space Low Disk Space? 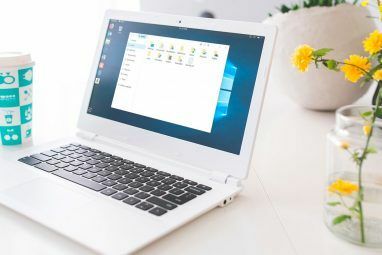 5 Native Windows Tools To Free Up Storage Space Don't download a fishy third party tool to reclaim valuable disk space! Windows has its own tools for the job and they're easy to use. Read More to clear out unneeded files. Windows keeps many folders hidden for a reason. 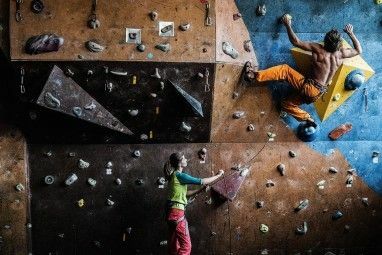 The average user doesn’t have any reason to touch these resources directly, as Windows provides ways to manage them that won’t risk damage to your system. When you see a file in a hidden folder that you don’t know about, it’s best to Google it first so you don’t get into trouble. Make sure you’re keeping good backups The Ultimate Windows 10 Data Backup Guide The Ultimate Windows 10 Data Backup Guide We've summarized every backup, restore, recovery, and repair option we could find on Windows 10. Use our simple tips and never despair over lost data again! Read More so you can recover if something ever goes wrong! For more on Windows Safety, check out how to avoid messing up the Registry How Not to Accidentally Mess Up the Windows Registry How Not to Accidentally Mess Up the Windows Registry Working with the Windows registry? Take note of these tips, and you'll be much less likely to do lasting damage to your PC. Read More . Have you ever worked in one of these folders or files? What other folders would you add to the off-limits category? Tell us in the comments! Explore more about: Computer Maintenance, Windows 10, Windows 7, Windows 8, Windows 8.1. This article should be renamed "Five folders you should never touch if you never want to do absolutely anything more advanced than send emails, write up Word documents, and browse the web." Who is this article targeting? It's bad enough that Windows 10 is as closed as it is, we're lucky we still have access to system32 at all! Awful article, think of something more original to waste your time writing. The reality is that a large amount of users only do the things you mentioned and maybe a bit more. The article is targeting people like the person who left the comment below yours -- someone just said that this information helped them and you're asking if there's a target audience for this content? Seriously? Remember that not everyone uses a computer exactly like you do and that we have readers of all different technical aptitudes and maybe you'll get less upset in the future. If you know these five folders and have use to poke around in them, clearly you know what you're doing. If you're a novice user and don't know what these folders are, you appreciate the lesson. I definitely need this information as I am not good when it comes to technical things about my desktop computer. system32/drivers/etc/hosts ... all the time to block obnoxious sites. The Installer folder is another one. You _can_ move it, if you put a mount point in its place to the new location. However if you delete any files from there, you could have issues down the line. Those files are used by Windows to keep your apps running. It can get big really fast, so I found it worth moving off a smaller SSD, but with the proper mount point so Windows would keep working. I don't understand your mindset here, especially for anyone who'd count as an experienced Windows user. Program Files, as a folder, is incredibly useful; and the decreased power a user has over it in win7+ is a step backward in terms of simplicity, centralization, and user-friendliness. Not every program on a machine has a Control Panel entry, not every program creates a Start Menu entry. But it's in there if it's installed. Between that and %appdata%, you can do things ranging from simple game mods to manually backing up your browser profile. System and System32 (I don't know if there's a System64, because I stuck to 32-bit), again, as a media-focused user, I've never been afraid of this folder; manually dropping a .DLL here, updating driver .DLLs, and using the incredibly powerful set of tools hidden in Windows (like EDIT.COM, net, Sound Recorder, etc) has been part of my workflow. The fact that I have to dig to find Sound Recorder alone is a frustration; while Audacity and others are great for some purposes, I find that Windows Sound Recorder is great for simple demo recordings which I can then work over in a more "advanced" application. pagefile.sys, like hiberfil.sys, is important and valuable - but it can be just as valuable to delete and reinitialize them when they bloat and take up gigabytes of space on a machine. I have found duplicate entries in both files, as well as other issues with leaving them alone for too long. And WinSxS... you're primarily right, you should never need to go in there. On the other hand, when recovering from an attack on my machine years ago, I found that several essential DLLs and important files which had become corrupt were backed up with clean copies in the SxS folder, and I was able to restore myself without resorting to a full backup and data loss. I think it's better to say, if you don't have a reason, avoid deleting or removing files from these specific places. Agreed. If you aren't experienced, then stay out of the things you don't understand. However, these areas shouldn't be considered taboo for experienced users. Yes. I prefer to insert executables (after checking their safety with VirusTotal) in Program Files and Program Files (x86) myself, when possible, to avoid "collateral damage" sometimes caused by installers.